I had my beautiful home in Cinco Ranch painfully listed for over a year with an agent I previously used. I can not describe how tiring the process became of having to clean my house with little or no notice, remove my animals and displace my daughters since we often had to suddenly leave our home. Making the decision to switch agents wasn’t very easy for my wife since she felt we were already invested timewise. She also thought it was the market or my home, but with 23 years of sales management and with the conversations I had with my agent I knew it was the person not my home or location. None the less, 1 year after being with the same agent, I terminated that relationship and met Ruth and Chris Glapa! Upon meeting Ruth and Chris I was immediately impressed. They just didn’t simply take a few pictures and slap my home on MLS/HAR with the other 150 homes represented like my prior agent and simply hope for a result. 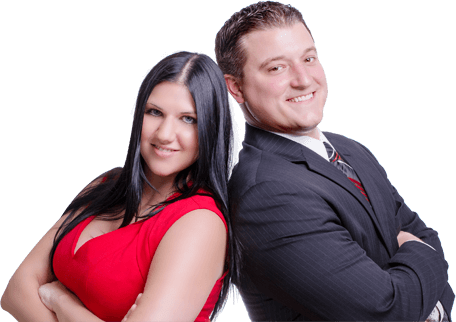 They went into depth with their philosophy which I 100% agreed with, dissected my home, community and gave me honest feedback that led to us developing an amazing plan of how they will sell my home. Ultimately they made it look easy! The Glapa’s deployed the upmost of professionalism, tools, attention to detail, frequent communication and feedback, hustle factor, follow up and went above and beyond in every single way. They brought in the most state of the art tools for the best pictures which had brilliant comments on the listing, videos and actually pushed the home. In fact including the open house they did upon listing I had more showings in 17 days than the past 4 months with my prior agent! In fact when somebody would inquire about my home and they didn’t have an agent or their agent was unavailable Ruth and/or Chris wouldn’t put it off, they would personally show my home so the prospect wouldn’t have to wait and possibly lose interest! Well, it happened, despite the despair and sense of hopelessness they accomplished the unthinkable… In a depressed market with tons of competition of homes, entering the slow season their efforts and work yielded a full asking offer and after only 17 days on the Market with Ruth and Chris we were done. Their efforts didn’t end with the offer, they had brilliant resources to assist with inspection, were by my side through the closing process with the lenders and were with us at the closing of our new home! My only regret is that my wife didn’t find Ruth and Chris sooner! Actions always speak louder than words and the Glapa’s went above and beyond in every conceivable way, for that we are thankful! If your home is in a similar situation as mine was don’t procrastinate, time is money and call Ruth and Chris. Furthermore I gave Ruth and Chris permission to have any interested parties contact me directly if you need to hear my good story from me personally!